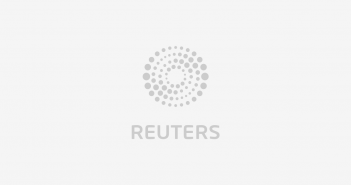 CHANGTU COUNTY, China (Reuters) – For farmers Zhang Shiping and Bai Fuqin in northeast China, there is little to celebrate this Lunar New Year. Since African swine fever struck a farm in nearby Shenyang city last August, the couple has racked up about 300,000 yuan ($44,712.72) in debt, 10 times what they make in a good year raising pigs. The incurable disease has since traveled thousands of kilometers, striking mainly small farms in the world’s biggest pork-producing country and triggering unprecedented upheaval in China’s $1 trillion hog sector. Though Zhang’s farm was not infected, measures to halt its spread have effectively killed his family’s livelihood. Beijing banned the transport of live pigs from infected provinces in September, part of its “protracted war” on a disease that typically takes years to eradicate. The restrictions crippled trade, particularly in northeast Liaoning province, which produces about a third more pigs than it consumes and relies heavily on exporting. Prices in the province dropped below 4 yuan per kilogram this month – the lowest price in a decade – just weeks away from the Lunar New Year holiday, normally a time of peak pork demand. Zhang and Bai got rid of about 30 pigs this month, losing about 800 yuan on each, after feeding them months after they should have been slaughtered while waiting for prices to pick up. They still have almost 50 left, now so overweight and fatty that no processors want them. “We can barely survive,” Bai said during an interview at her modest farmhouse in Changtu county, a two-and-a-half-hour drive north of Shenyang, capital of Liaoning. Bai and three other farmers in Changtu said they would not continue raising pigs, even though they have few other options in the region, one of China’s slowest growing. Tens of thousands like them are expected to abandon pig farming after months of weak prices and restrictions on moving pigs to market. That will reduce production in the country by one-fifth this year, according to some estimates, and boost prices and demand for cheaper imports. “I have experienced all kinds of ups and downs in the pig industry. But nothing has been as hard and bitter as this year,” said Sun Hongbo, another Changtu farmer. He will quit pig farming for good, he added, seeking manual work after the holiday. Small farmers producing fewer than 500 pigs for slaughter each year account for about 40 percent of China’s output, or around 280 million pigs a year, according to 2016 figures from consultants at Rabobank. But the African swine fever epidemic looks set to accelerate change in an industry already shifting towards more industrialized farms, particularly in the north. “Even if you want to raise pigs, the government won’t give you loans because you lost money. Feed sellers won’t lend you feed either. How can you raise pigs then?” Sun said. Policy measures put in place to tackle African swine fever strongly favor larger farms considered better able to prevent the spread of disease with higher hygiene standards. A Dec. 27 government document that loosened the rules on transporting pigs out of infected counties only applied to incorporated farms. Another rule has outlawed the use of kitchen waste for pig feed, significantly boosting costs for many farmers who can’t buy commercial feed at reasonable cost. “The government won’t encourage small farmers to raise pigs, that’s the direction,” said Wang Chuduan, professor at China Agriculture University. It’s a sharp reversal from the years following the 2007 Blue Ear epidemic, which cut production by an estimated 10 percent. After that, Beijing gave generous subsidies to all farmers to replenish their herds, said Wang. Corporate farmers like Muyuan Foods Co. Ltd and Wens Foodstuff Group Co Ltd are suffering too, reporting a sharp plunge in profits last year. But with large, efficient farms and access to loans, they are able to ride out the tough times. Beijing has repeatedly called for the scaling up and industrialization of farming to raise efficiency and quality. For China’s livestock industry, consolidating around more efficient producers is good, Wang said. For some regions, however, it could bring an additional burden, just as the country’s growth slows to its weakest pace in 28 years. Pig production in China’s northeast has expanded rapidly in recent years as Beijing sought to move its livestock away from heavily populated regions and closer to grain production in the north, bringing a much-needed source of revenue to laggard local economies. Changtu, with about 1 million people, produced 1.6 million pigs in 2016 and 2.66 million tonnes of corn, positioning it to benefit under that policy. But swine fever looks set to halt, or even reverse, the trend. Liaoning’s GDP grew 5.7 percent in 2018, well below its target that year. “I think the expansion roadmap will be different in the next few years; there’ll be less investment in the northeast,” said Pan Chenjun, senior analyst at Rabobank. Agriculture minister Han Changfu said this week the government would work to reduce the impact of the epidemic on other areas of the economy and society. Changtu farmers said they had seen no sign of government support. A county official said the local government had poured so much money and resources into preventing and controlling African swine fever that it risked bankrupting the county. He declined to be named because he was not authorized to speak to the media. But he added that declining pig production in the county would hurt local revenue. The Changtu farmers have few options. Bai, who is illiterate, said after the holiday – which welcomes the Year of the Pig – she would look for work washing dishes in the city. “The pig cycle has never really brought me down, but then the policy did,” said Zhang Haitao, another farmer struggling to get rid of his overweight pigs.